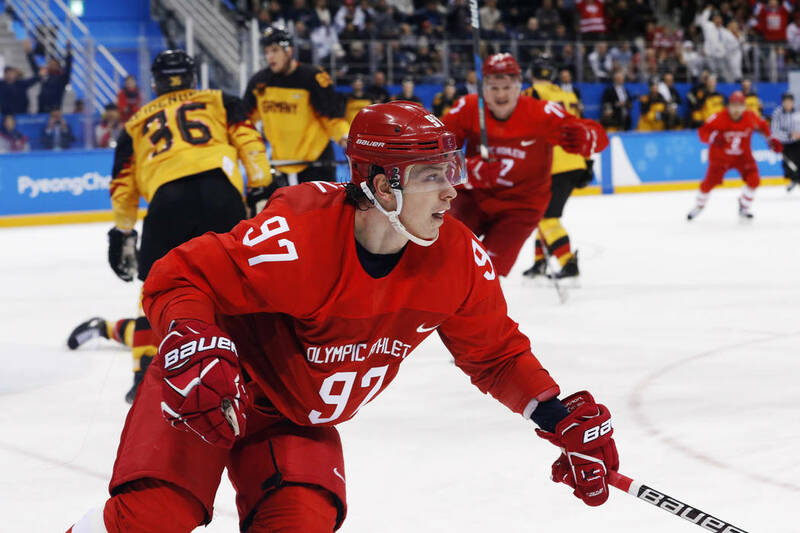 Russian forward Nikita Gusev caused an uproar early Thursday when word leaked out of Europe that he is seeking an early release from his Kontinental Hockey League contract in order to sign with the Golden Knights. 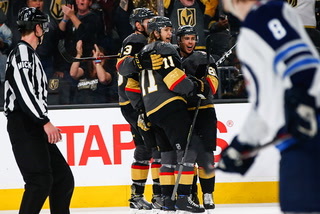 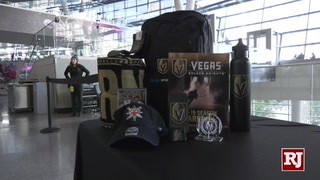 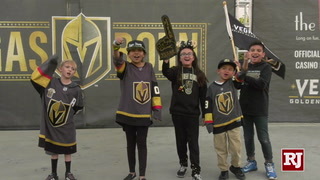 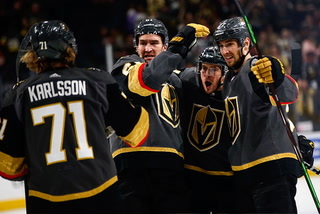 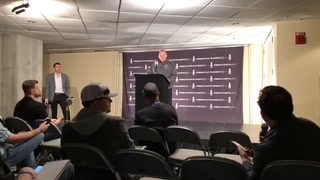 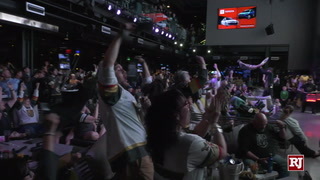 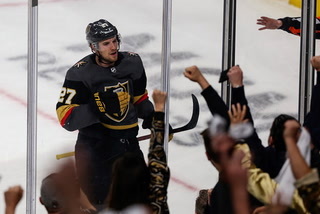 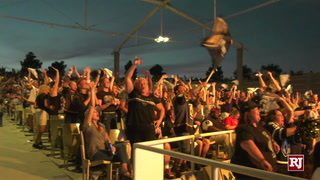 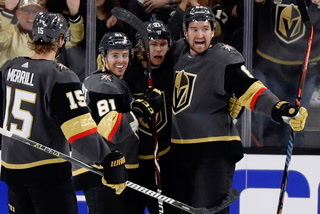 SAN JOSE, Calif. — The most talked-about Golden Knights player prior to Game 2 of the Western Conference quarterfinals doesn’t even play for the club. 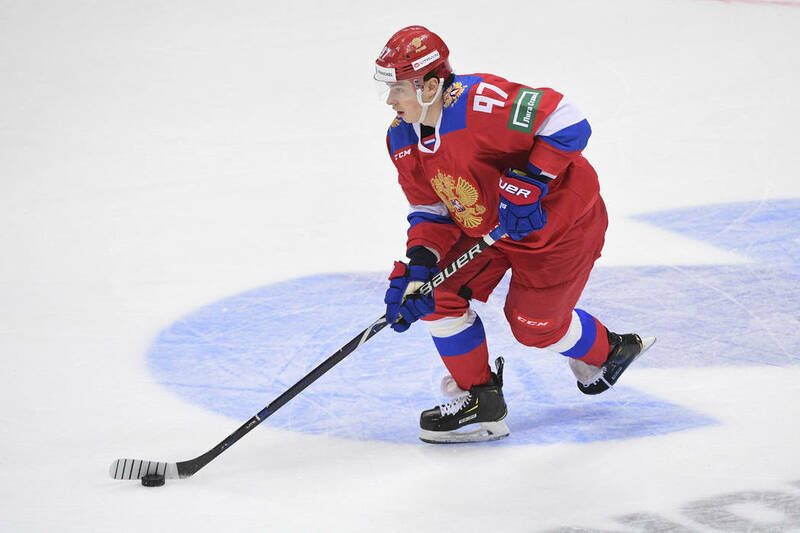 Russian forward Nikita Gusev caused an uproar early Thursday when word leaked out of Europe that he is seeking an early release from his Kontinental Hockey League contract in order to sign with the Knights. 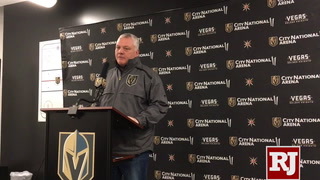 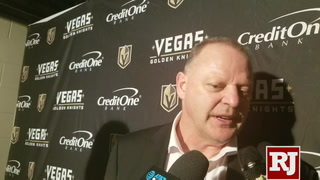 A Knights team spokesperson declined to comment on Gusev, who is on the club’s reserve list and is eligible to play in the postseason. 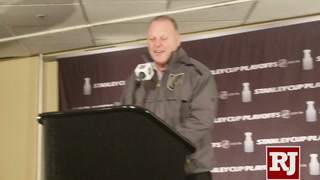 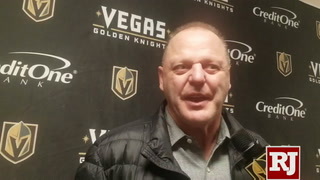 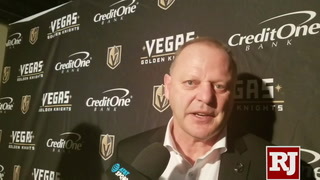 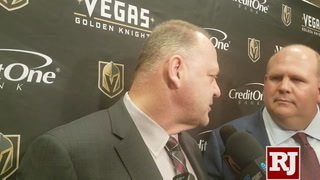 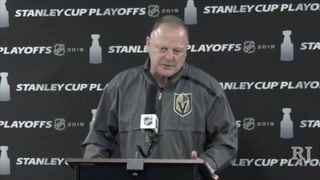 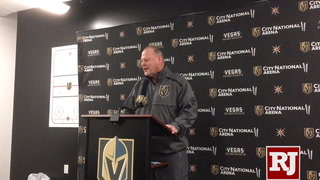 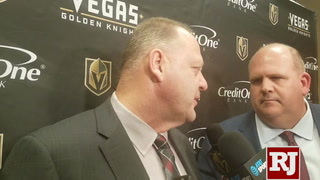 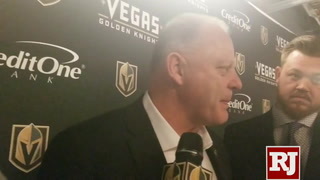 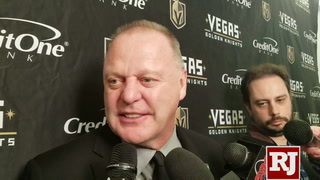 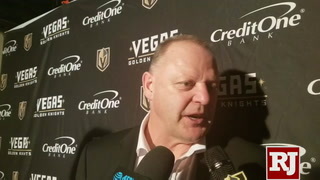 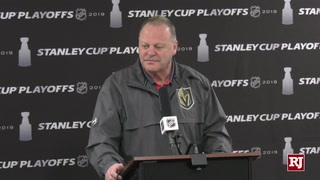 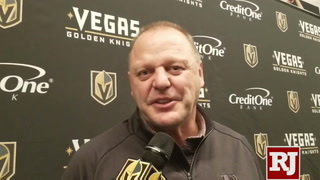 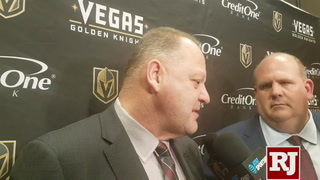 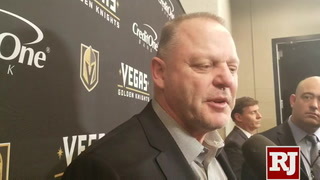 However, coach Gerard Gallant addressed the possibility of adding a player at this stage. 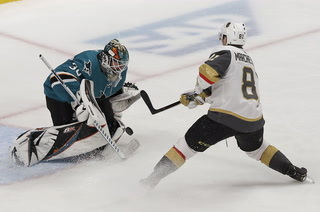 The Knights trail San Jose 1-0 in the best-of-seven series, which continues Friday at SAP Center. 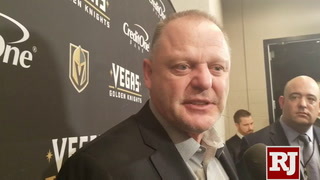 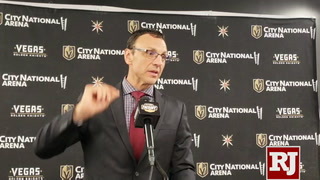 “I don’t know much about him, and (general manager) George (McPhee) mentioned it today there’s some reports out there,” Gallant said. 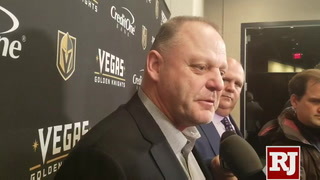 “If he joins us, then we’ll see what’s going to happen. 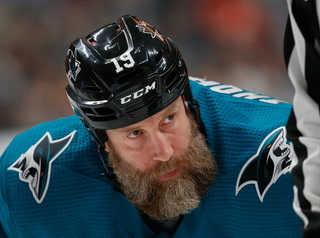 But I don’t know the player well enough. 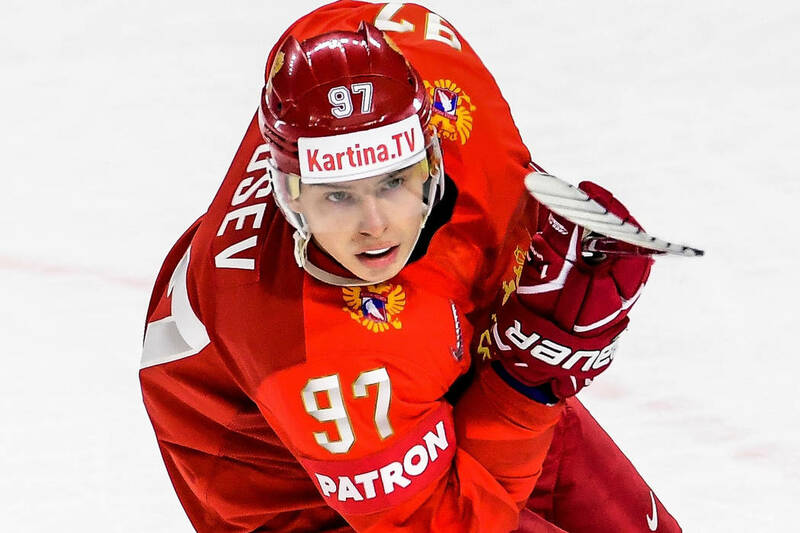 Gusev posted 82 points in 62 games for SKA St. Petersburg, which was eliminated from the Gagarin Cup playoffs in the conference finals this week. 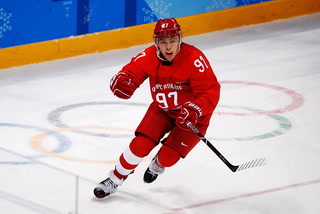 His point total is the second highest in KHL history. 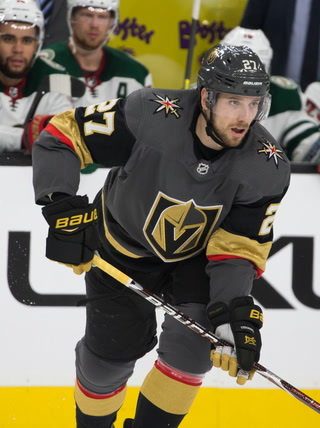 The Knights acquired Gusev’s rights in an expansion draft trade with Tampa Bay as part of an agreement to select defenseman Jason Garrison. 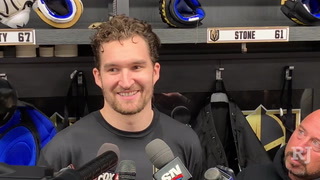 The 26-year-old’s contract with SKA runs through the end of this month. 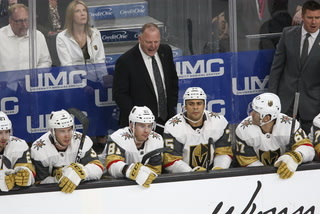 Multiple messages left by the Review-Journal the past two weeks with Gusev’s representative, J.P. Barry, were not returned. 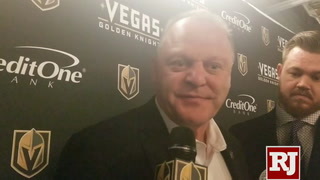 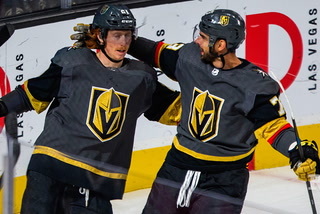 Gusev would burn his one-year, entry-level contract and become a restricted free agent this summer if he signed before the Knights’ season ends. 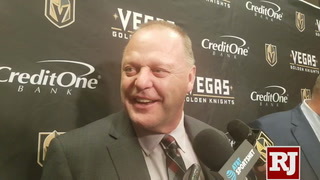 He could then sign a long-term contract starting July 1. 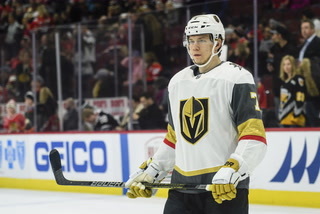 Should Gusev wait until after the season to sign his entry-level deal, he would be eligible Jan. 1 for an extension. 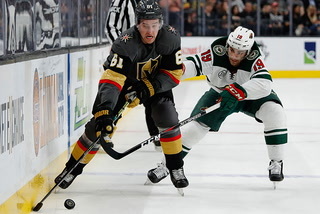 Otherwise, he would become an unrestricted free agent in the summer of 2020. 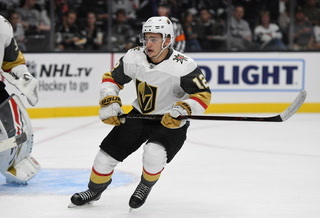 SKA St. Petersburg vice president Roman Rotenberg denied that Gusev’s contract would be terminated early in a report on the website of Matchtv.ru, a Russian news agency. 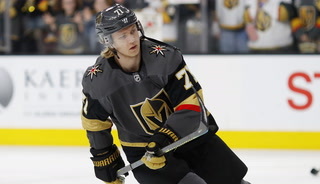 Gusev also was added to Russia’s training camp roster for the IIHF World Championship that start May 10, further complicating his status. 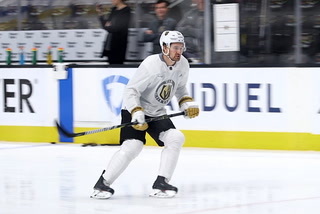 Sharks right wing Joe Pavelski was at the dentist’s office Thursday morning and did not participate in the team’s optional practice. 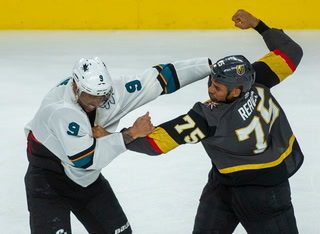 Pavelski scored the opening goal in San Jose’s Game 1 victory when he redirected Brent Burns’ shot with his face. 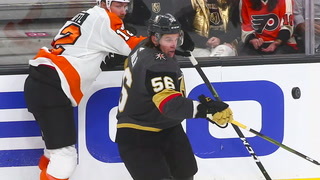 He played the final two periods wearing a jaw protector. 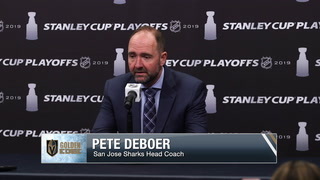 “I didn’t get a chance to see him this morning, but I think he’s going to be fine,” San Jose coach Peter DeBoer said. 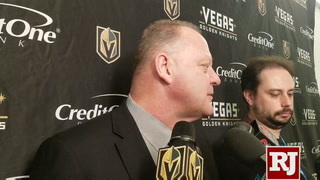 Dylan Ferguson was recalled from his junior team to serve as the Knights’ emergency goaltender. 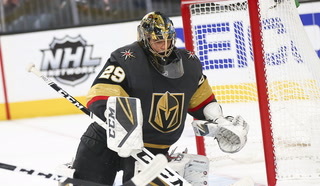 The 20-year-old went 17-24-1 with a 3.01 goals-against average and .908 save percentage for Kamloops of the Western Hockey League. 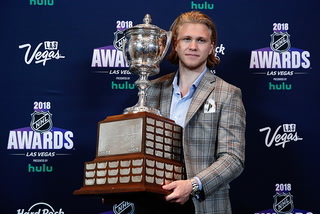 Chicago Wolves left wing Daniel Carr was named a first-team all-star by the American Hockey League. 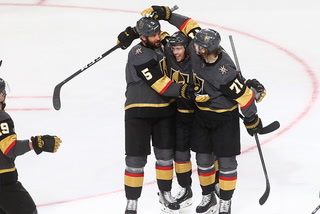 He had 30 goals and ranked third in the league with 71 points to go with a plus-35 rating. 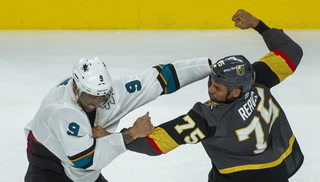 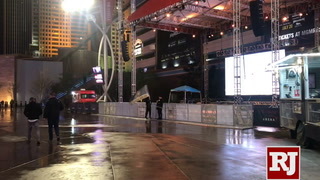 ■ Friday: at San Jose, 7:30 p.m.